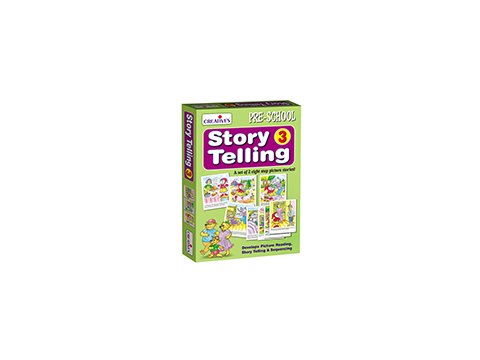 With the help of the 2 Sets of 8 step large, sturdy Picture Cards the child will be able to describe each card of the story in simple words, establish spatial relationship between them, arrange them into proper sequence and narrate the story in his/ her own words. It will improve his/her pre-reading or communication skills. Parent or some elder may help them by reading each story in sequence written on each card. Included Stories are – Little Red Riding Hood and The Three Bears.